Inside information from locals, celebrities and tastemakers who work, play and live in Marina del Rey, California. Marina del Rey is a little gem just south of Venice, California. It is a short bike/walk/skate from Venice. Marina del Rey’s the Marina houses a wide variety of restaurants, hotels, bars, boats and a beach. In addition to great entertainment options, one can find fishing and whale watching tours, parasailing, stand up paddle boarding and more. To find the best of the best, you have to talk to the locals. We caught up with Tony P’s Dockside Grill co-owner Tony Palermo, to ask him a few questions about the Marina. If you’re looking for a source of information about Marina del Rey, you can’t do much better than Tony Palermo. Co-owner of Tony P’s Dockside Grill in Marina del Rey. This year, Tony P’s is celebrating their 19th year of operation and has become the place to be! Click here for more of Tony’s story. The list goes on! 1. Two things we should know about you? I am a great dancer and love throwing parties! 2. What is your perfect day in the Marina? Early in the morning when the water is like glass and scary quiet, you can look east to the hustle and bustle of L.A. and be glad that you are here! 3. If a visitor had only one day to experience the Marina, what would you suggest as Marina essentials? Hit the bike path in the morning from Tony P’s to the Santa Monica Pier and back, it is about 8 miles. Then, go to lunch at Tony P’s, rent a small boat from Marina del Rey Boat rentals and tour around the marina. It is a whole different Marina from boat level. Hit happy hour back at Tony P’s and then go out on the late boat from Marina del Rey sports fishing and watch the sunset and the lights go up over Los Angeles! It’s something very special. 4. What are some interesting or unusual destinations in Marina that even locals might not be aware of? Hidden Marina treasures? 5. What are a few of your favorite Marina things? The proximity to L.A. and the airport, but it’s like a totally different country. I like kayaking around and letting the day float by! 6. Where are your Marina happy places? Of course, Tony P’s Dockside Grill and doing anything on the water or cruising the Bike Path. 7. Favorite annual Marina event? The “Cruise N Brews” event. 40 different Brewery’s on the 550 passenger cruise ship The Entertainer. An afternoon of great beer and friends cruising around the Marina! 2016 date tbd. Visit www.LAXChamber.net. Click here for photos from our last “Cruise N’ Brews” event. 8. Anything else about Marina that you would like to say? It’s great to be a part of L.A.’s Marina, Marina del Rey! 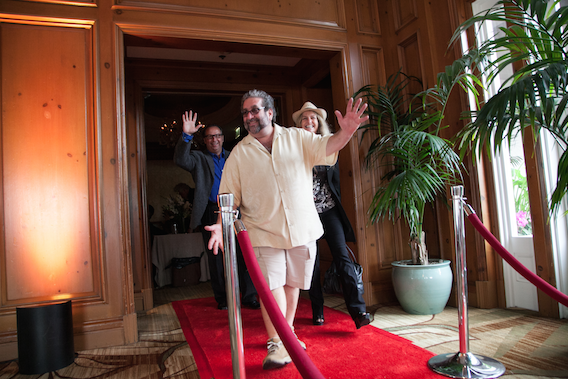 Make sure you say hi when you are at Tony P’s Dockside Grill. See you soon! Dine and drink at Tony P’s Dockside Grill! Tony P’s Dockside Grill is fantastic! Where else can you chill out, eat crab legs, sip on an Old Chub, and watch the sunset over the Pacific with boats sailing by? Not only is the menu super deep, the beer selection is the best on the Westside, and the staff is superb! Smiling faces, and huge portions is the standard at this neighborhood favorite! Every Saturday and Sunday from 9:00 am – 11:30 am is Tony P’s famous Weekend Breakfast! 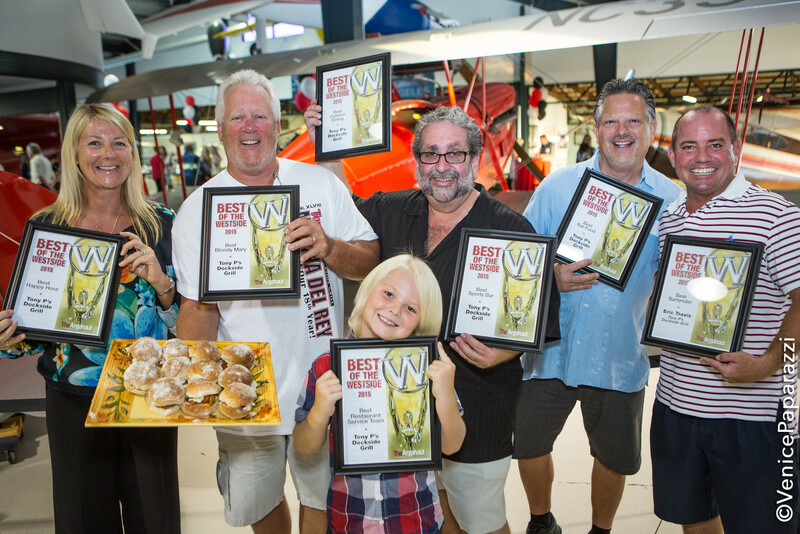 Try their award winning Bloody Mary’s, and buttermilk pancakes, voted best pancakes in the Marina! Click here for more things to do and see in the Marina!